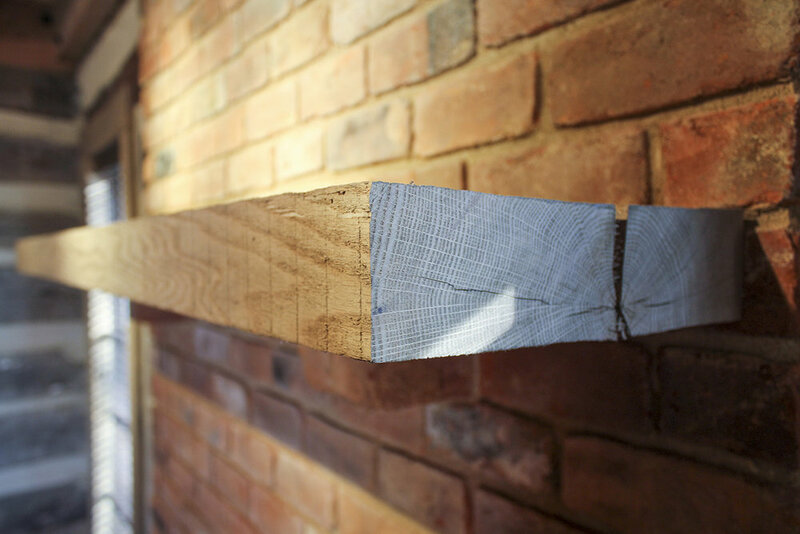 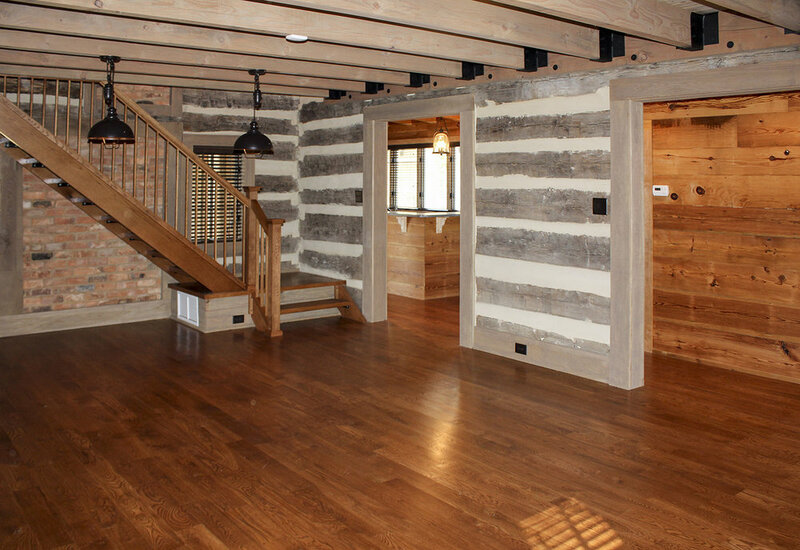 With nothing more than a bundle of red oak logs from the 1840’s to work from, we built a brand new house that maintained both the original log cabin materials and character. 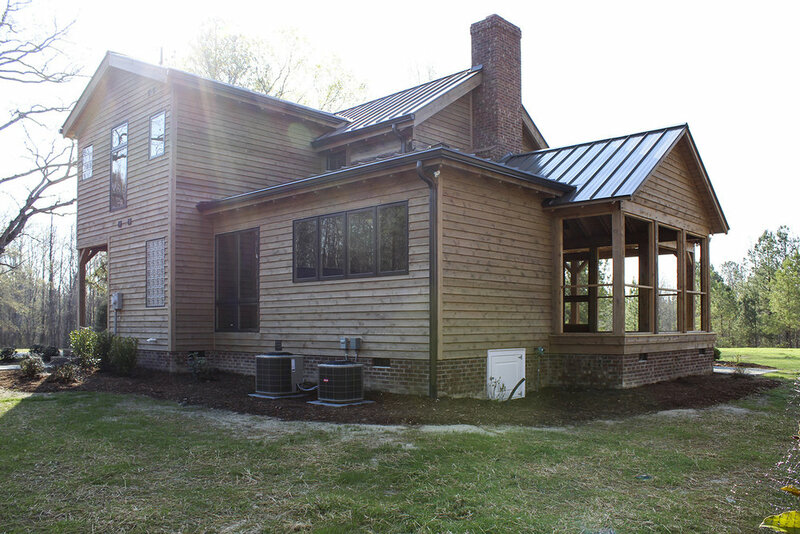 The house features custom made wood, stone and metal details made from raw materials sourced in North Carolina. 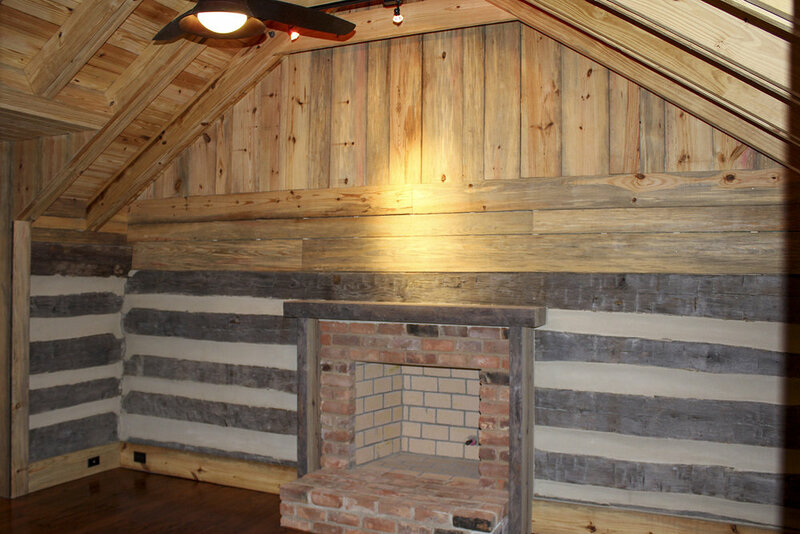 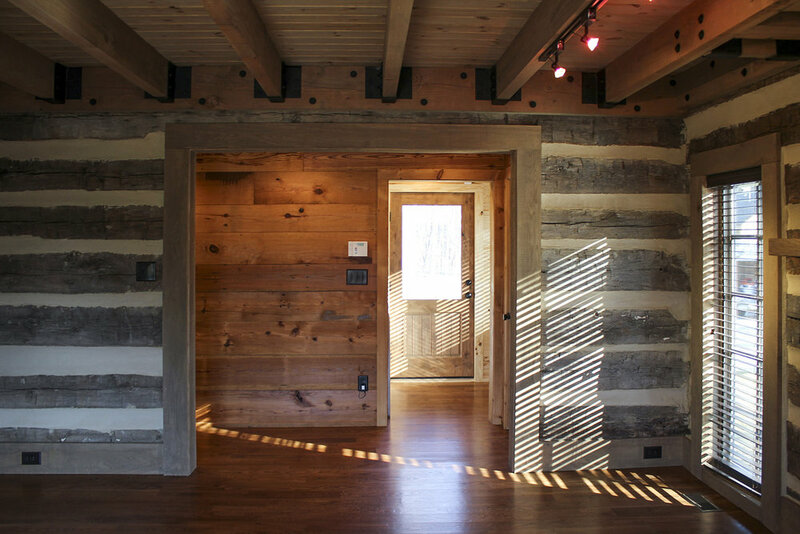 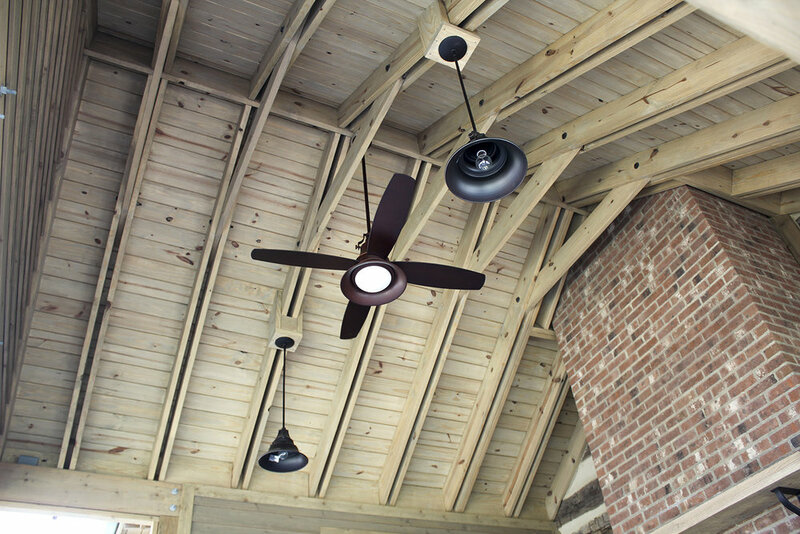 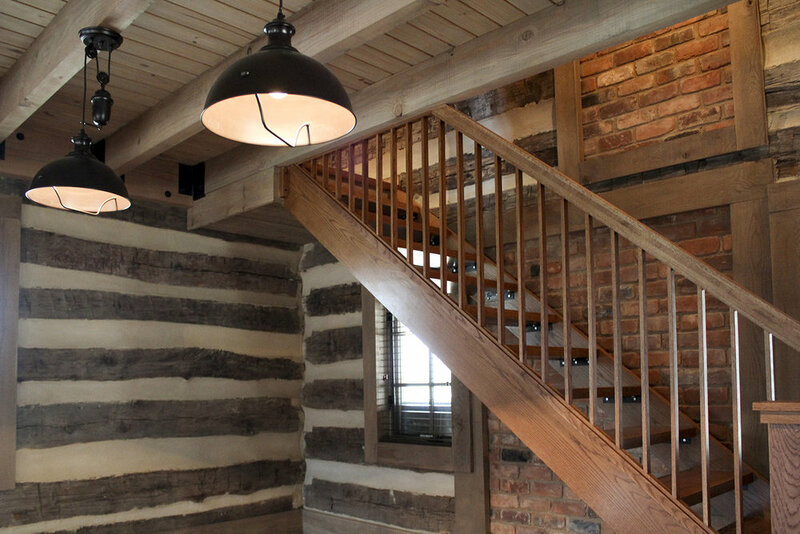 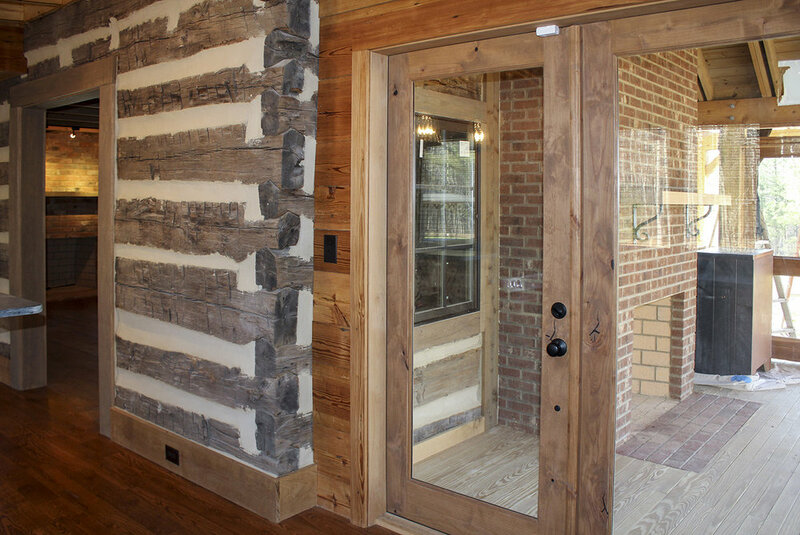 We worked closely with the owners to ensure everything from the staircase to the fireplaces to the countertops stayed true to the original log cabin aesthetic.